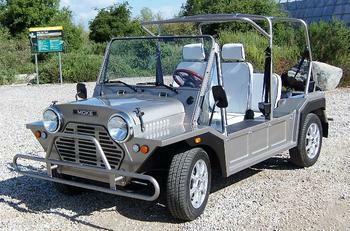 American Custom Golf Cars (ACG) is recalling 72 model year 2016-2017 ACG Moke low speed vehicles. The vehicles may be missing the rear side red reflectors, reducing the vehicle's visibility to other drivers. If the rear side red reflectors are missing, the vehicle may have reduced visibility to drivers, increasing the risk of a crash. ACG will notify owners, and dealers will install a different reflector, free of charge. Owners may contact ACG customer service at 1-909-597-2885. ACG's number for this recall is ACG-RC2018-02.